This fire is available in manual - fingerslide control. The fingerslide control allows you to operate the fire from LOW to HIGH and turn the fire ON/OFF. A battery is required. On our inset fires the fingerslide control is located on the top right hand side of the fire so that you don't have to bend down on your hands and knees to control the fire. The classic plain black frame is suitable with our manual – fingerslide control Chewton, Asaba, Whatley and Walther range of gas fires. 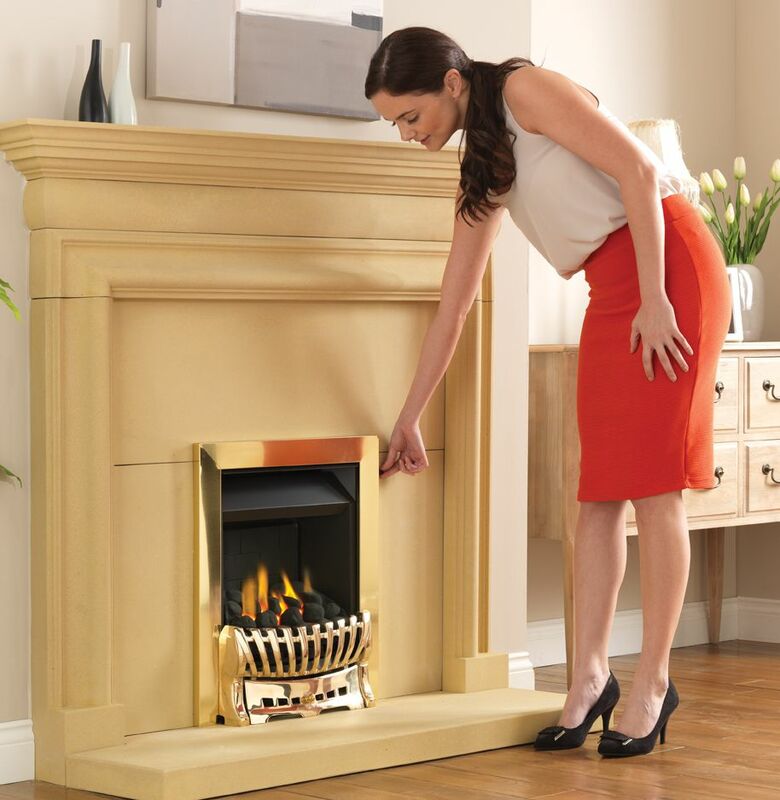 The frame can be simply fitted to your fire with the supplied magnets.